The wait for the Redmi Note 7 launch in India is finally over. Xiaomi has finally revealed the Redmi Note 7 launch date in India. According to the official Redmi India Twitter account, the Redmi Note 7 will be launched in India on 28th Feb 2019. Media persons and users are also invited to register to buy the tickets for the launch event with the limited seats. To recall, the Redmi Note 7 is the first branded smartphone which launched earlier last month in China. We know that Redmi fans in India were eagerly waiting for the launch date announcements in India and now its finally coming. The Redmi Note 7 features a 6.3-inch, Full HD+ resolution display with a water drop notch. You get a pretty small notch on the Redmi Note 7 compared to the Notch on the Redmi Note 6 Pro and Redmi Note 5 Pro. The phone is powered by a Qualcomm Snapdragon 660 processor coupled with three different RAM and storage variants including 3GB/4GB/6GB RAM and 32GB/64GB storage options. On the camera side, the phone sports a dual rear 48MP+5MP camera at the back. On the front, there is a 13MP camera. The phone has a 4000 mAh battery and also comes with a USB type-C port that also supports 18W Quick Charge 4.0. The Redmi Note 7 was priced in China at Yuan 999 (around Rs 10,000) for the 3GB RAM and 32GB storage option. The 4GB RAM and 64GB storage version was priced at Yuan 1199 (around Rs 12,000). Lastly, the Redmi Note 7 with 6GB RAM and 64GB storage was priced at Yuan 1399 (around Rs 14,000). We expect similar pricing for India as well. 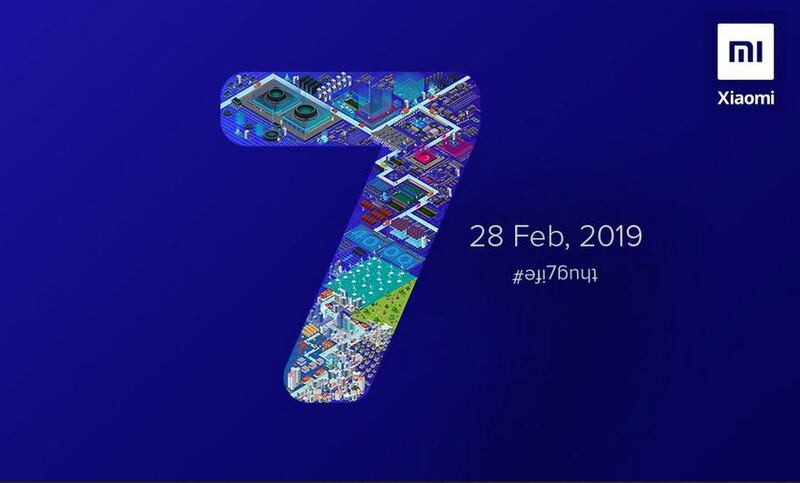 However, we will get the exact pricing on the launch date of the Redmi Note 7 in India on February 28th, 2019.